Home » Disney Vacation Club » PassPorter’s Disney Vacation Club Guide – what’s changed and been updated? With the publication of the latest update to PassPorter’s Disney Vacation Club Guide for Members and Members-To-Be, you may be wondering what’s changed. After all, it can’t be that much, can it? Well, you’d be surprised…. It’s six months since the last update, which saw the addition of all the 2013 points charts for the Disney Vacation Club resorts. Things like that are headline news, so you’ll be aware of them, but here are some things that you may not have spotted…. There have been so many member perks added that we’ve had to put more pages into the book… seriously! The vast majority of the new additions are at Vero Beach, Hilton Head, and especially at Aulani. Perhaps that’s not as much of a surprise, as it’s a brand new resort and Disney have been busy arranging as many special offers as they can for members who are lucky enough to visit. Hopefully we’ll be able to sample some of those offers someday soon…. Even at Walt Disney World and Disneyland there are constantly changes to the offers available to members, with some added while others are removed. Recognising that the Villas at the Grand Californian’s 50 two-bedroom-equivalent villas may not be enough for their members, the Disney Vacation Club is now allowing members to stay in the Grand Californian Hotel itself on points. To my mind, it’s a great change, as it is tough to get into the Villas, but is it a great deal, and what is the hotel like compared to the Villas? Well, we’ve added a brand new section into PassPorter’s Disney Vacation Club Guide covering exactly that topic. That means even more pages again! With the Disney Vacation Club raising its prices three times in the last six months, we’ve recalculated the break-even point for people considering joining DVC, with some interesting results. The resale price of each resort is also constantly changing, and we’ve gone back and double checked all those figures to give you an idea of how much buying through resale will set you back. Adventures By Disney have announced their 2013 itineraries, including new ones for DVC members only in Scotland, South America, and Southeast Asia. I’ve already covered this in detail in a previous blog. We’ve added all of those into the book, along with the new points charts for 2013. All I’m going to say is if you want to go to places like Australia, you’re going to need a lot of points! The Disney Vacation Club is literally changing all the time, and within the last few days, the 2013 points charts have appeared for the Walt Disney World resorts other than the DVC resorts. We’re talking the likes of the Polynesian, Yacht Club, Fort Wilderness, and Port Orleans here, and those details have been added into PassPorter’s Disney Vacation Club Guide. Equally, the World Passport Collections points charts are out for next year, so we’ve checked for any changes in those. In fact, we delayed publishing the latest edition, as at first only Tokyo Disney had their 2013 charts out, with no sign of those from Paris, and Hong Kong. However, as soon as those appeared we added them in, holding publication for a few extra days to ensure you had the most up to date information. And, just in case you’re thinking is that it?, those are only the major changes in the latest edition. There are also a huge amount of small changes, so small you may not even notice them, as they’re not highlighted in the way that changes to PassPorter’s Walt Disney World and PassPorter’s Disney Cruise Line are. In fact, since the first edition of PassPorter’s Disney Vacation Club Guide was published back in 2009, now we’re on the tenth edition, and a total of 23 additional pages have been added, bringing the page count up to 191. Soon, the way the Disney Vacation Club is growing, we’ll be way over the 200 page mark…. and we’ll ensure that it’s fully updated with the latest changes for all Members and Members-To-Be…. I recently got the hard copy version – thanks for the new info. 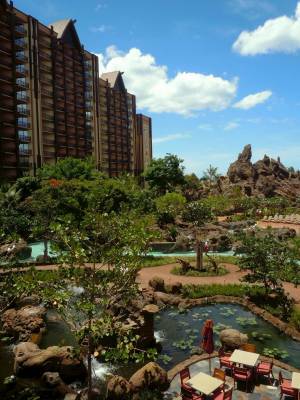 ← What’s your favorite Disney Vacation Club resort?